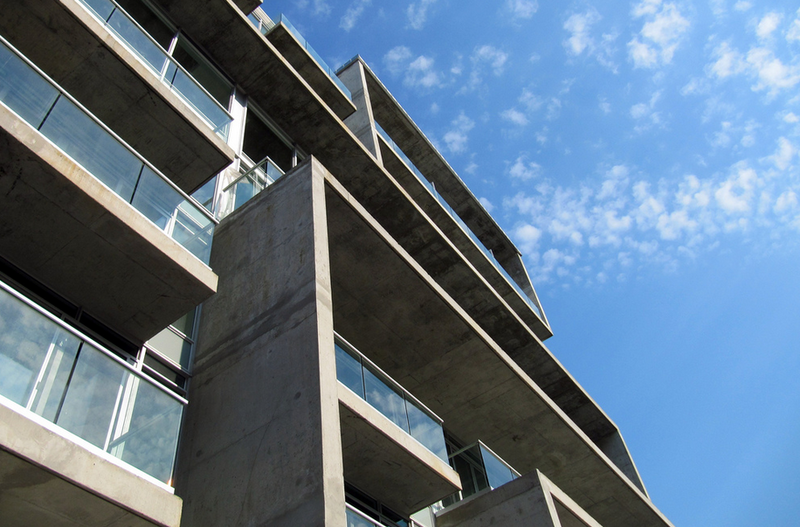 In the second quarter report from the Toronto Real Estate Board (TREB), condo apartment rentals and listings were both up, but overall rents edged down, year-over-year. For the GTA, the rent for a one-bedroom suite saw a 1.7 per cent dip from 2013, falling to $1,583. Two-bedrooms suites also saw a slight drop with a 1.5 per cent decrease to $2,142. These numbers are the average lease rate collected via MLS for the entire period. Does that mean renters in Toronto will get a break? Not exactly. The GTA is an entirely different animal from the City of Toronto and the downtown condo rental market in particular. By far the most active section of the city for condo apartment rentals, TREB’s C01 district, which stretches from Yonge Street to Liberty Village, counted 1,573 one-bedroom listings and 698 two-bedroom listings in the past quarter. That’s 46.9 per cent of all the one-bedroom listings in Toronto-proper in Q2 and 36.2 per cent of all two-bedroom listings. In other words, if you’re looking to rent a condo, there’s a very good chance it’s going to be in this corner of the city. Unlike the 1.7 per cent drop seen throughout the region in the second quarter, the average rental price for a one-bedroom unit in C01 actually rose 1.5 per cent, year-over-year, to $1,760. Since Q2 2012, it rose by about 1.2 per cent. Two-bedroom units in C01, however, did see a larger drop, though many market bulls will argue that’s due to falling condo sizes, which generally push average prices down. A two-bedroom suite went for $2,562 in Q2, a 3.3 drop year-over-year, and a 1.6 per cent decline from Q2 2012. In the last two years, the highest average rent for one-bedroom units was in Q4 2012, when they reached $1,844. Two-bedroom condo reached their peak rental price in Q3 2012 with an average of $2,667. The Central Region stretches from the lake along the length of Yonge Street, to the Don River/Victoria Park to the East and Allen Road/Dufferin in the west. saw prices barely budge year-over-year. One bedroom suites inched up 0.7 per cent from Q2 2013 to $1,699. However, they did see a 4 per cent jump over two years ago. Two-bedroom condos in Central Toronto went for an average of $2,427 in Q2, a 1.5 per cent decline from 2013, but measured a 3.4 per cent increase over 2012. The highest rent in the last two years for a one-bedroom condo was $1,746 in Q4 2012. In Q1 2014, two-bedroom condos reached their highest rent at $2,467. One-bedroom condos across the City of Toronto remained the same, seeing rent increase by a tiny 0.1 per cent to $1,649 year-over-year. The change from two years ago was more noticeable as prices rose by 3.3 per cent. Two-bedroom units saw rents slide by 1.8 per cent from Q2 2013 to $2,285. However, they were up 2.9 per cent from two years ago. In the last two years, one-bedroom units were at their highest in Q4 2012, with an average of $1,677. Rents for two-bedroom suites peaked over that period at $2,327 in Q2 2013.